I have yet to come up with a catchy title for a bullet list of mini-posts as good as Andy Hall’s Canister or Brooks Simpson’s News and Notes. I am also still wrapped up in my incredible experience at the 37th annual Appalachian Studies Association conference at Marshall University. My next several posts will likely be about that experience, but there is a lot that I am neglecting. So, here’s my list of items that do not warrant a full post of their own. Mississippi is bound and determined to relive its Civil Rights memory. I hope no one in the LGBT community wants a hamburger in that state anytime soon. I recently got the movie ’42’ approved to use at my school. It’s a fascinating Civil Rights movie about the famous baseball player Jackie Robinson. What I enjoy most about the movie, is that it does not limit racism to one section of the country. It demonstrates that Jackie’s struggle was a national one, not a southern one. In this effort, the movie proves historically accurate and a great segue to my Civil Rights unit. Don Blankenship, the former CEO of Massey Energy Co., released a documentary absolving his company from blame of the Upper Big Branch Mine disaster in 2010. For the most part, it is a giant piece of stinking propaganda. It attempts to exonerate the company by blaming regulations set by the Mine Safety and Health Administration (MSHA). It goes so far as to blame the miners as well. There is a special place in hell for people like this…. I am attempting to get a couple of short articles published that I recently presented in conferences. One of the papers deals with Patrick Cleburne’s proposal to arm slaves in exchange for freedom in history and memory; the other paper concentrates primarily on a particular family’s involvement during the Battle of Ringgold Gap, and their attempts to survive after the battle. I will comment on these attempts in the future. 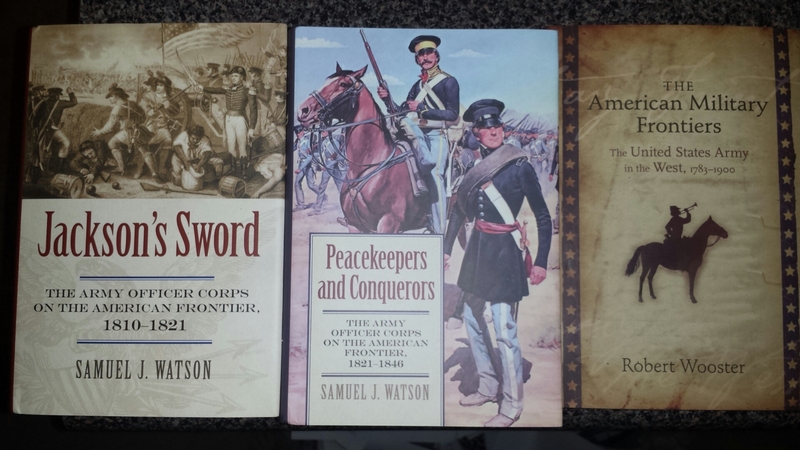 Lastly, I added a couple of new titles to the Historic Struggle Library: Robert Wooster’s The American Military Frontiers; and Samuel Watson’s Jackson’s Sword and Peacekeepers and Conquerors. I’m hoping all three will prove invaluable to my thesis. Off-topic for this thread, but the new format looks great! Thanks Andy! I thought it was an appeasing theme.